It's just so true that none of my friends in Malaysia and Singapore knew about this website called Fiverr, where you can create your gigs to offer online tasks and services. So it goes like this, each gig costs a buyer US$5, and Fiverr takes a 20% commission from each sale so the seller earns $4 per delivered order. $4 is a small number to many people, but by getting promoted to Level 1, a seller gains extra features and is able to create gig extras, which brings gigs created to another level - a gig can be ordered at $5 or more by giving buyer the options of upgrading a gig. Read more at Fiverr Levels. I started joining in mid November and offering piano playing/recording and translation services. In mid December I was very sure that I've fulfilled all the requirements to be promoted to Level 1, I was however still not promoted. 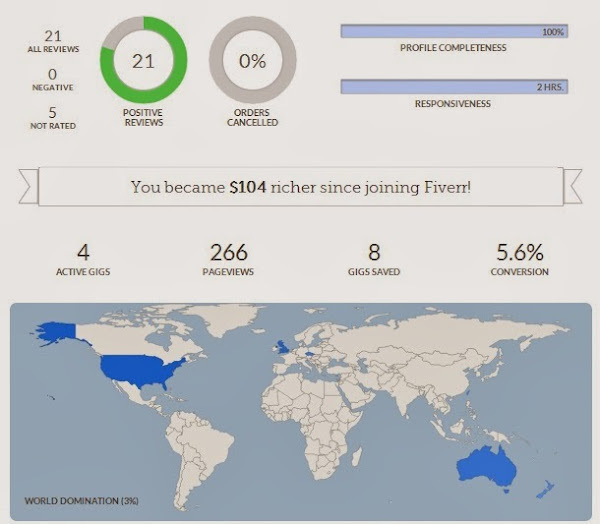 On 18 Dec 2013, I submitted a request ticket to their customer support, and the attaché informed me that Fiverr's levels feature is based off of a system that assesses my account to confirm if you're eligible for the features. He checked my account and it's not in good standing with their levels system as I had a violation of their terms of service. For God's sake when since I violated their terms of service?! As he couldn't override the system, he requested me to get back to him in a month and he'll see what he can do for me. Well, what can he do if he's not able to override the system, but I can do nothing than waiting for another month. Fortunately, just an hour ago, I WAS PROMOTED TO LEVEL 1!! 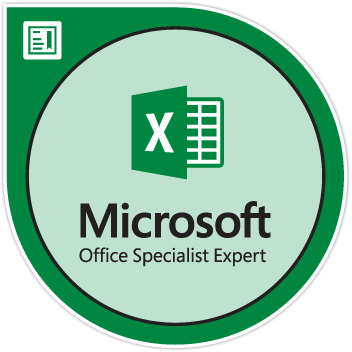 I earned a Level 1 badge on my profile page. So far I've earned $104, not a lot, but it feels good to have a little extra money to spend. You might underestimate this kind of earning, but what if I tell you, there's somebody who bought a house with his Fiverr's income? My more popular gig is the translation gig (from English to Chinese and vice versa). The documents which I've translated before range from someone's private letter and some US legal documents. It's pretty scary translating these kinds of thing, I was grateful that I'm entrusted by the buyers to translate all these crucial documents. So far the translation orders are mostly for smartphone apps.